Your Diabetes May Vary: Come Play! 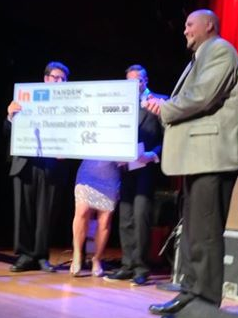 My friend Scott Johnson won Insulindependence.org’s Athletic Achievement award and I think that says a lot. Scott is into athletics for all the right reasons; joy, sportsmanship, camaraderie, and health. Scott wants everyone he meets to join the basketball game and play for the simple fun of playing. I hadn’t played basketball since the 70s, Scott made me feel welcome on the court. Same with a young kid who was standing there watching the game, Scott handed him the ball and invited the kid onto the game. That is why, for me, he is a role model. Athletics isn’t about self aggrandizement, it isn’t about winning, to Scott it is about joining with others and playing. I am proud of Scott. This is not to say I have anything against serious sports. 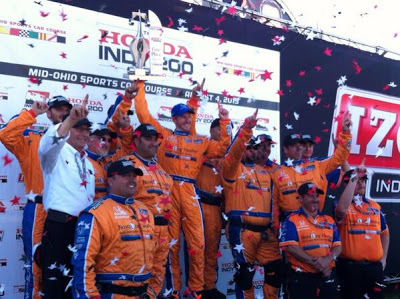 I was screaming like the lunatic I am, when Charlie Kimball’s team won the Indycar race at Mid Ohio. Team. Racing is a team sport with all kinds of different skills contributing to a common effort to make the team's car get there first. Today, I would love you to join me in some play. I want you to be part of a team, one that needs a lot of players who are willing to do something a little outside their individual and collective “box.” Join the StripSafely Tweet In. Click the Tweet about Meeting Link. That will send a Tweet asking the representative asking them to send a staffer to the September 9 Diabetes Technology Society meeting. That is easy and it isn’t asking a lot from Congress, just being aware of our need for accuracy. Some feel that politics is a dirty partisan game, I know others have felt that way. They found that speaking up from principal was not only empowering but could be fun too. Maybe our voice can help reduce partisanship by not playing that game. Just be real. Let's make this fun! Tweet the 'stock' message then improvise some of your own tweets, share why accurate diabetes testing matters to you. Be nice, be a good sport, no trash talking, join with others and play. Maybe as a team we can all win the race to more accurate glucose testing. Lets make this a team effort about joy, sportsmanship, camaraderie, and health. So many good things happened, are happening, and we can make happen! Let's do this! Just got around to reading this post. Great description of Scott's unique talents. Qualities that so many want, but so few possess.